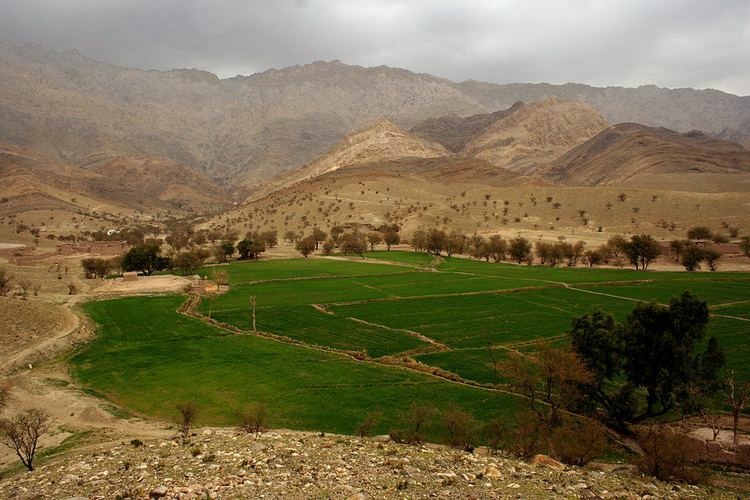 Nangarhar (Pashto: and Persian: ? 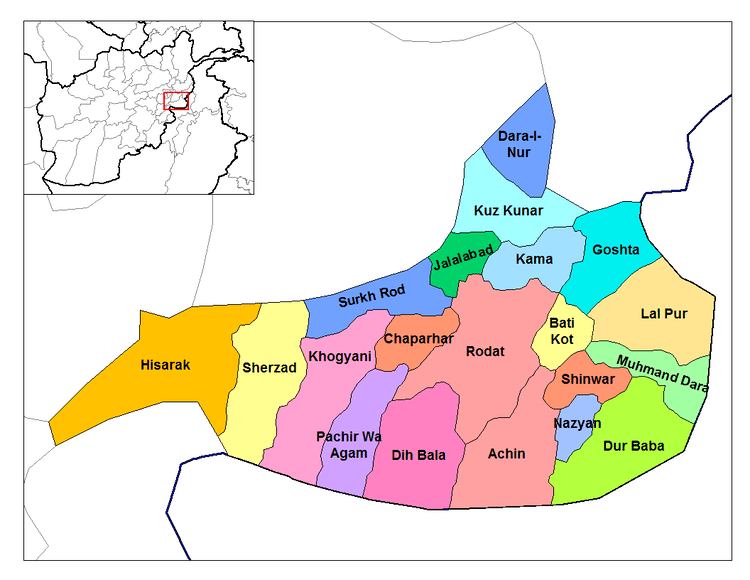 ; Nangarh?r) is one of the 34 provinces of Afghanistan, located in the eastern part of the country. It is divided into twenty-two districts and has a population of about 1,436,000. The city of Jalalabad is the capital of Nangarhar province. The Nangarhar province territory fell to the Maurya Empire, which was led by Chandragupta Maurya. The Mauryas introduced Hinduism and Buddhism to region, and were planning to capture more territory of Central Asia until they faced local Greco-Bactrian forces. Seleucus is said to have reach a peace treaty with Chandragupta by given control of the territory south of the Hindu Kush to the Mauryas upon intermarriage and 500 elephants. Song Yun, a Chinese monk visited Nangarhar in 520 AD, claimed that the people in the area were Buddhists. Yun came across a vihara (monastery) in Nangarhar (Na-lka-lo-hu) containing the skull of Buddha, and another of Kekalam (probably Mihtarlam in Laghman province) where 13 pieces of the cloak of Buddha and his 18 feet long mast were preserved. In the city of Naki, a tooth and hair of Buddha were preserved and in the Kupala cave Buddhas shadow reflected close to which he saw a stone tablet which was at that time considered to be related to Buddha (probably the stone tablet of Ashoka in Dar?ntah). The region fell to the Ghaznavids after defeating Jayapala in the late 10th century. It later fell to the Ghorids followed by the Khiljis, Lodhis and the Moghuals, until finally becoming part of Ahmad Shah Durranis Afghan Empire in 1747. The province remained relatively calm until the 1980s Soviet war in Afghanistan. Nangarhar was used by pro-Pakistani mujahideen (rebel forces) fighting against the Soviet-backed Democratic Republic of Afghanistan. The Pakistani-trained mujahideen received funding from the United States and Saudi Arabia. 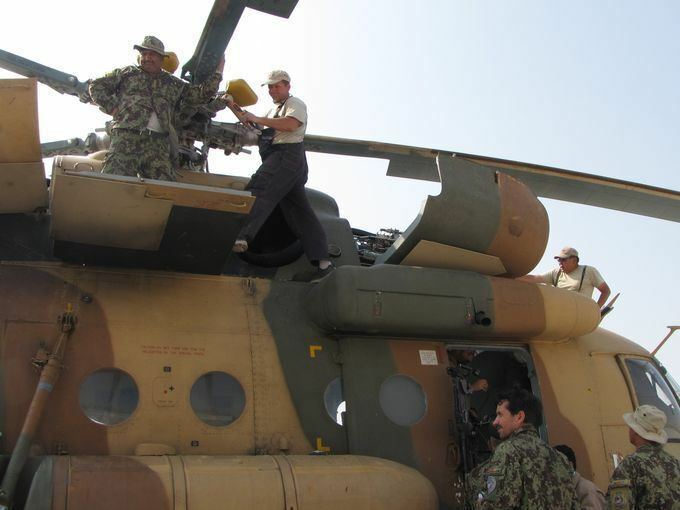 Many Arab fighters from the Arab World had been fighting against government forces of Mohammad Najibullah, who ultimately defeated them near Jalalabad. In April 1992, Najibullah resigned as President and the various mujahideen took control over the country. When the 1992 Peshawar Accord failed the mujahideen turned guns on each other and started a nation-wide civil war. This was followed by the Taliban take-over in 1996 and the establishment of al-Qaeda training camps in Nangarhar province.